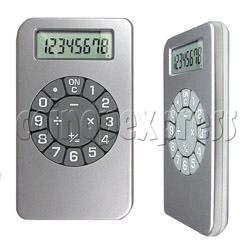 Here we present you a new item: Calculator with IPOD Shape. It is a 8 digital calculator, looks like a IPOD cause its shape. This is most new design for calculator. Use one AG10 battery as power. Has big logo area so that it is good for promotion. It absolutely will catch people'eyes!